Akkineni Nagarjuna is the King of action-comedy South Indian films and is one of the finest actors of South Indian film industry. 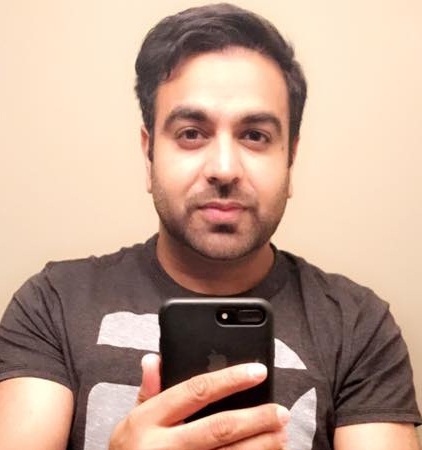 The talented actor has delivered many blockbuster movies over the course of years, all this have given him the stardom and huge fan following. His movies have been dubbed in many languages and here is the list of Hindi dubbed movies of Akkineni Nagarjuna. Mass (2004) is a Tollywood action film written and directed by Raghava Lawrence. Starring Nagarjuna Akkineni and Jyothika in lead roles. The film was recorded as a super hit at the box-office and dubbed in and Hindi as ‘Meri Jung- One Man Army’. Plot: A man taking revenge on the killers of his loyal friend. King (2008) is an Indian Telugu-language action comedy thriller film directed by Sreenu Vaitla. Starring Nagarjuna Akkineni, Trisha, Mamta Mohandas, and Srihari in lead roles. The film was a super hit and dubbed into Hindi as ‘King No. 1’. Plot: A hoodlum look-alike assumes the identity of a nobleman. Kedi (2010) is a Telugu action film directed by Kiran Kumar. The film stars Nagarjuna Akkineni and Mamta Mohandas with Ankur Vikal. The film was a flop and dubbed into Hindi as ‘Gambler No. 1’. Plot: Ramesh loves his childhood friend Janaki, who asks him to become rich and powerful before marrying her. With this motive, Rummy starts gambling and becomes rich in no time. Super (2005) is a Telugu action thriller film directed by Puri Jagannadh. Starring Nagarjuna Akkineni, Anushka Shetty, Ayesha Takia and Sonu Sood in lead roles. The film was average at the box-office and also dubbed into Hindi and was titled ‘Robbery’. Plot: Akhil loves Siri. Sonu is a high-tech thief and arch enemy of Akhil. Trouble arises when Sonu adopts Siri as his sister and asks her to stop meeting Akhil since he is responsible his sister’s death. Azad (2000) is a Telugu patriotic film, directed by Thirupathisamy. Starring Nagarjuna Akkineni, Soundarya, Shilpa Shetty in the lead roles. The film was as hit at the box-office and was dubbed into Hindi as ‘Mission Azad’. Plot: One day Anjali witnesses a group of armed men killing a government official. She takes photographs and approaches her Editor and asks him to publish them and expose the killers. She is prevented by Deva, the owner of the militant right-winged Hindu Seva Samiti, the photographs are destroyed and she is warned. She creates a fictional character, names him Azaad, and writes a note taking credit for their deaths. What will happen after that is what forms rest of the story. Agni (1989) is a Telugu action film directed by K.Raghavendra Rao. Starring Akkineni Nagarjuna, Shanti Priya in the lead roles. The film was an utter flop and dubbed in Hindi as ‘Shiva Dada’. Plot: It is the story of a boy who is brought up by his uncle. He falls in love with a rich girl. The story takes a turn when the girl’s father gets him arrested on false charges. Don (2007) is a Telugu action film directed by Raghava Lawrence. Starring Nagarjuna Akkineni, Anushka Shetty in the lead roles. The film was super hit and dubbed into Hindi as ‘Don No. 1’. Plot: A poor man becomes a benevolent gangster but faces threat from an even bigger gangster. Snehamante Idera (2001) film is directed by Bala Sekharan. Starring Nagarjuna Akkineni, Sumanth, Bhoomika Chawla, Prathyusha in lead roles. The film was recorded as average at the box-office. The film was dubbed into Hindi as ‘Naya Jigar’. Plot: A young man takes in his two orphan childhood friends and his family looks after them like their own sons. His jealous cousin plays a prank on him with a girl, who he eventually falls for, but she is engaged to someone else. Krishnarjuna (2008) is a Telugu language comedy-drama film directed by P. Vasu. Starring Nagarjuna Akkineni, Manchu Vishnu, Mamta Mohandas in the lead roles. 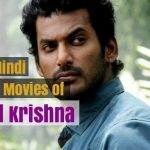 The film was a flop and was dubbed in Hindi with the same name ‘Krishnarjuna’. Plot: An astrologer’s advice forces Pedababu to fix his sister’s wedding to Arjun, an orphan, so that he can be killed, and she can be married to a rich man. However, Lord Krishna comes to Arjun’s rescue. Ninne Pelladata (1996) is a Telugu romantic film directed by Krishna Vamsi. Starring Nagarjuna Akkineni, Tabu in lead roles. It was a blockbuster film and dubbed in Hindi as ‘Biwi No.2’. Plot: A woman comes to a big city to attend training and ends up falling in love with a man, whose family approves of her. But just before their marriage, her parents forcibly take her away, to get her married to someone else. Payanam/Gaganam (2011) is an Indian thriller film written and directed by Radha Mohan. It stars Nagarjuna in the lead along with Prakash Raj, Poonam Kaur, Sana Khan, Rishi, Iqbal Yaqub, Brahmanandam and Bharath Reddy amongst others. The film was a commercial success and dubbed into Hindi as ‘Mere Hindustan Ki Kasam’. Plot: It is up to Ravi who has to rescue a flight from Chennai to Delhi which is hijacked by Yousuf Khan ‘s men. ‘Sivamani’ (2003) is an Indian Telugu, romantic thriller film which was written and directed by Puri Jagannadh. Starring Nagarjuna Akkineni, Rakshitha and Asin Thottumkal played lead roles while Prakash Raj plays the negative lead. It was super hit film and dubbed into Hindi as ‘Main Balwaan’. Plot: An ex-cop goes in search of his lost girlfriend to Kerala and along way meets a news reporter who helps him to find his lover. 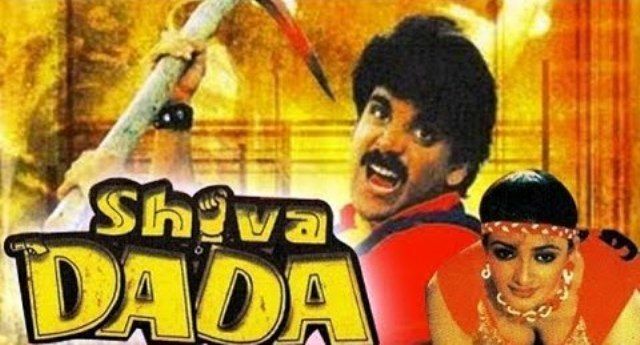 Vicky Daada (1989) is a Telugu crime film directed by A. Kodandarami Reddy. Starring Akkineni Nagarjuna, Radha, Juhi Chawla lead roles. The film recorded super hit at the box-office and was dubbed into Hindi as ‘Meri Duniya‘. Plot: Nagarjuna is a graduate in law. He and Juhi Chawla are both in love with each other. She one day leaves out of town for a while and comes back to see Nagarjuna as a thug named Vicky Dada (his titular role). Ragada (2010) is a Tollywood action film directed by Veeru Potla. Starring Nagarjuna, Anushka Shetty, Priyamani in lead roles. The film was a hit and dubbed into Hindi under the same title ‘Ragada’. Plot: This is the story of Satya who joins a gang and then questions this decision. Annamayya (1997) is a Telugu biographical-devotional film directed by K. Raghavendra Rao. Starring Akkineni Nagarjuna, Mohan Babu, Suman, Ramya Krishna, Bhanupriya, Roja, Kasturi played the lead roles. The film received positive reviews and was a blockbuster. It was dubbed in Hindi as ‘Tirupati Shree Balaji’. Plot: The movie is about a great poet and a firm believer of Lord Vishnu as the Lord guides him in every step of life. The infinite love was forever in the heart of the poet for the Lord. Greeku Veerudu (2013) is a Telugu romantic comedy film directed by Dasarath. Starring Nagarjuna Akkineni, Nayantara in the lead roles. It received mixed to positive reviews upon release and dubbed in Hindi as ‘America v/s India’. Plot: An overconfident businessman’s journey of realizing the importance of family and turning from a stud to falling in love. Captain Nagarjun (1986) is a Telugu, romantic film directed by V. B. Rajendra Prasad. 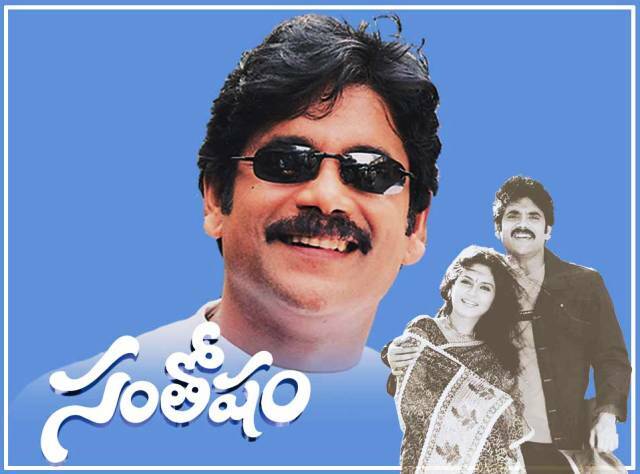 Starring Akkineni Nagarjuna, Kushboo, Rajendra Prasad played the lead roles. The film was a flop at the box-office and dubbed in Hindi with the same title ‘Captain Nagarjun’. Plot: Captain Nagarjuna, a pilot, falls madly in love with Radha, a passenger, on one of his flights and gets married to her. Things change when he learns about Radha’s past. Seetharama Raju (1999) is a Telugu action film directed by YVS Chowdary. Starring Nagarjuna Akkineni, Nandamuri Harikrishna, Sakshi Shivanand, Sanghavi in lead roles. The movie was average at the box-office and dubbed into Hindi as ‘Ek Aur Haqeeqat’. Aranyakanda (1986) is a Telugu action-thriller directed by Kranthi Kumar. Starring Akkineni Nagarjuna, Ashwini, Rajendra Prasad played the lead roles. The film was a flop and was dubbed in Hindi as ‘Jungle Rowdy’. Plot: The entire story goes on the protection of tribal in a forest against a tiger and deadly gangsters by a forest officer Chaitanya. Chaitanya goes to the jungle to solve the case of tiger killing the local tribal. There he meets Neeli and Sanga who are in deep love with each other but cannot marry due to caste problem. After going through the case, Chaitanya comes to know that the tiger is not doing any harm to the people, but there are some coward people who are doing all this. How did he eradicate the evil activities and what did he have to pay for it forms the rest of the story. Gharana Bullodu (1995) is a Telugu, romantic film directed by K. Raghavendra Rao. Starring Akkineni Nagarjuna, Ramya Krishna, Aamani played the lead roles. The film was super hit and was dubbed in Hindi as ‘Rangeela Raja’. Plot: Raja is a tonga driver who fights for the downtrodden. Ammaji, an ambitious politician, has been ruling the town with an iron fist. Raja enters her house as her grandson-in-law to fight for justice.